Now being prepared in Helsingborg, Sweden, to enter service with Victory Cruise Lines, the 202-passenger Victory II is scheduled to embark passengers for her maiden voyage from Montreal to the Great Lakes on Friday, July 27, 2018. This 9-night cruise will include overnights in both Montreal and Quebec City as well as the St Lawrence Seaway, the Thousand Islands, Kingston, Toronto, Niagara Falls and Cleveland and will finish this voyage in the “renaissance” port city of Detroit. 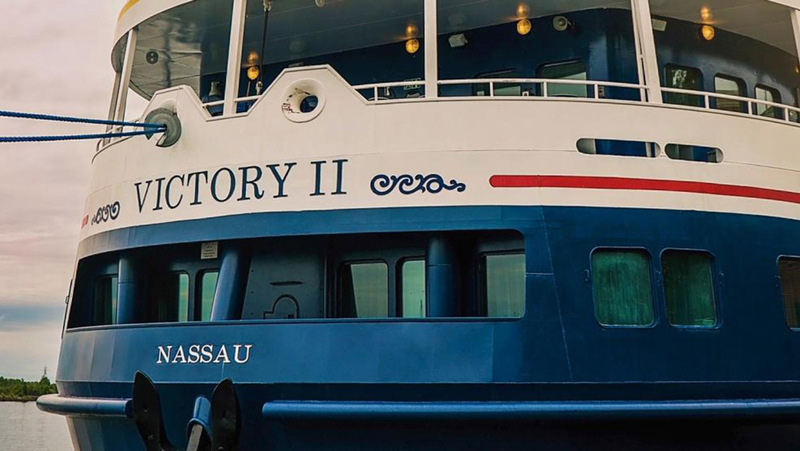 Later this summer the Victory II will cruise between Detroit and Halifax (click here for August itinerary), as well as Atlantic Canada and New England. Cruise-only fares starting at £3,320 per person on Category B, subject to availability, for 9 nights. Fares can also be paid in US Dollars. For further details of cruising the Great Lakes, River and Gulf of St Lawrence, Atlantic Canada and New England please contact The Cruise People Ltd in London, England, on +44 (0)20 7723 2450 or e-mail PassageEnquiry@outlook.com.